Hello everyone welcomes to my blog. 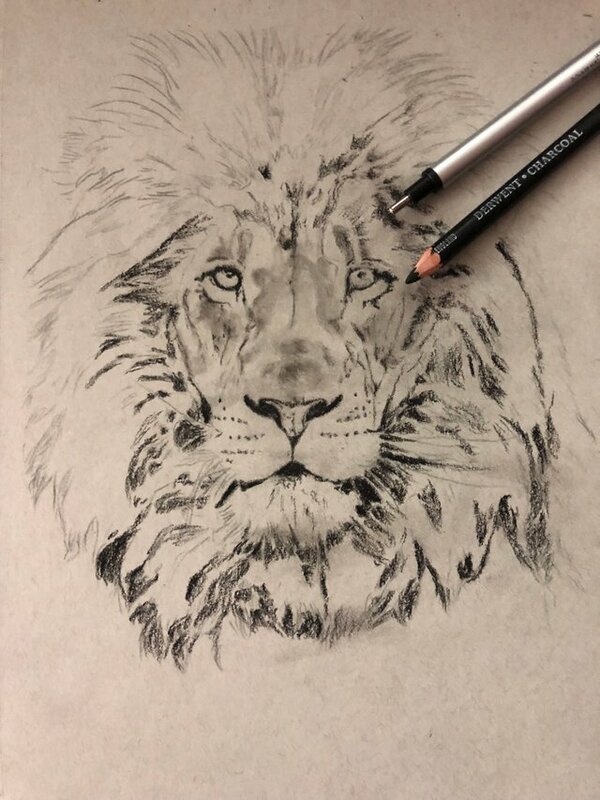 Today's I'm going to be showing you how I drew this Lion using charcoal pencils. I'm just really following the reference photo. I did use a reference photo for this. You want to use a reference photo if you're trying to draw realistically so you can really see all of the details and where all of the shadows are meant to be. I'm going in with a charcoal and I think I'm using the extra hard version. I first use that to define all of the main sorts of shadows in the eye and get the structures down and then I blend it out with a blending stump. I try to avoid adding charcoal to the highlight area and keep that as white as possible. 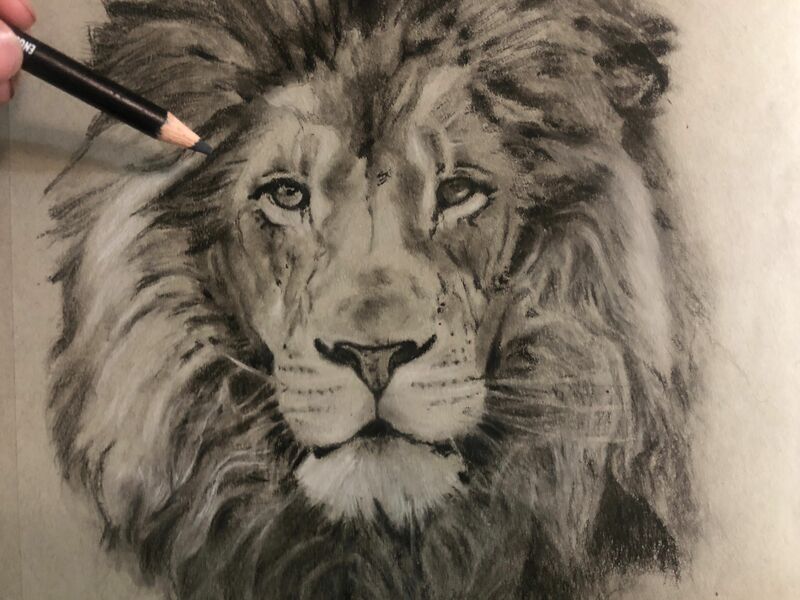 I then go over with a 4b charcoal pencil which is slightly darker just to give more of a dramatic dark kind of shadow to the eye and then I use a little eraser just to pull up the highlights. 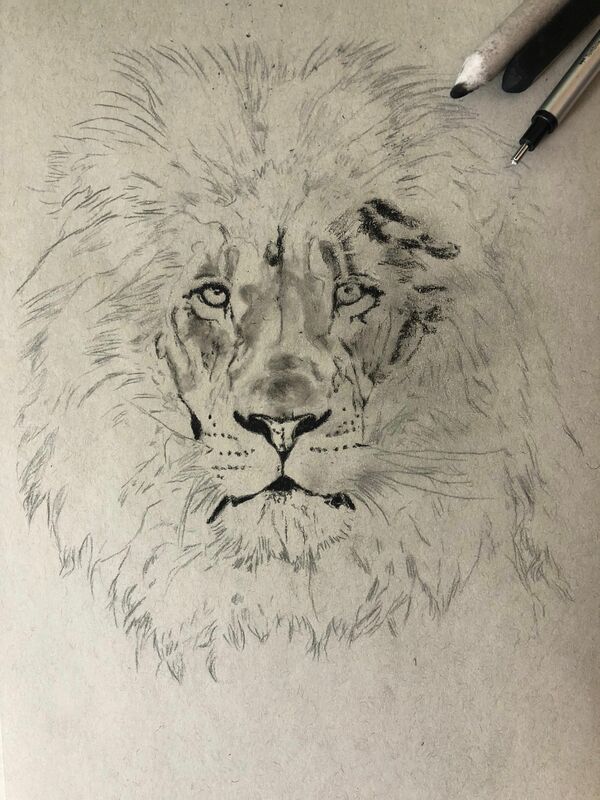 Now I'm going on to the fur for the face and what I like to do first is just add the base kind of contours and shadows for the like facial structure of the Lion. I'm also filling in the darkest areas on the nose and the mouth. There's a lot of really dark areas that I used to fill it in around this area especially the mouth. It's just very dark so I used a 4b charcoal pencil for that. If you're trying to draw something realistically then it's all about contrast and getting the shadows as dark they need to be and then having the highlights as bright as they need to be to create that contrast and give that free dimensional look. So when I add the highlights it will really just make everything pop and really stand out. 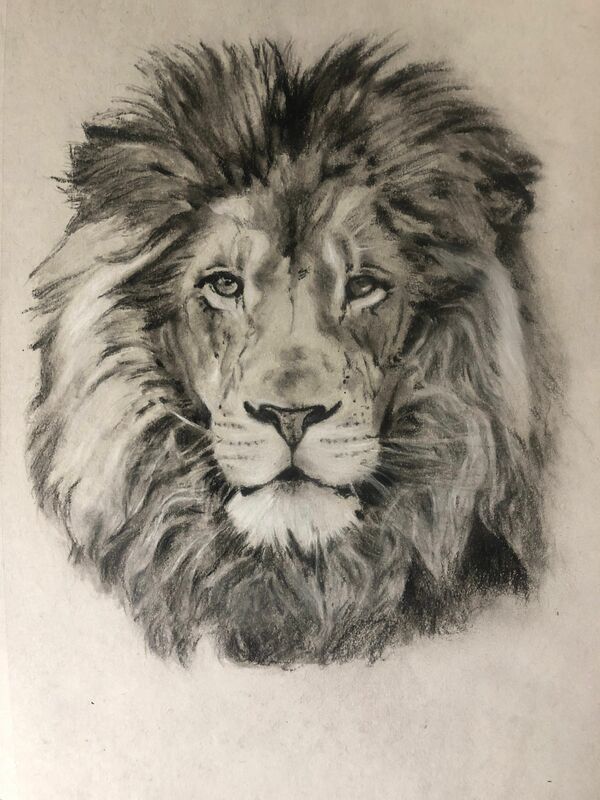 I'm just going throughout the whole of the lion's face and just creating the same fair strokes to create the third texture for the whole of the fur. It's a really simple technique, it's just something that you do for the whole of the fur and these will look a bit too defined at moment and then we can soften them out later on so it's not so defined and so harsh. I'm just finishing up adding all of the little fur strokes, it does take a while so just be patient with it. You really don't want to rush. It's really important that you softening other areas so that we still have some of that fur texture showing through and lightening up the dark shadows in between them so it just kind of balances it all out and gives us more of a natural fur texture. Once I did that I'm going back in with the eraser and just pulling the brightest highlights and the brightest kind of contoured areas so just to create more of that 3d structure for the face and to make it pop a bit more. So now what I'm doing is add more contrast so I'm using the charcoal pencil. As you can see at this stage is really making it pop even more just adding those shadows again and really darkening up those areas. You can also use your blending stick to blend out areas, you don't want it to look too grainy. It's always good to blend with the blending stump. Now people use different sort of things to draw the art. This is also very unique kind of work. #aaa content ! @blockchainbeta approves this message. It was impressive, wasn't it! Your post is very nice. Your post got something new to learn. I’m glad it insprie you. Practice makes perfect so give it a try. This is amazing art,This would beat every pic in the black and white challenge category. Yes, I like how accurately I can erase with these. Nice, I'll have to see if I can find one here. I do really intricate drawings on top of pencil and sometimes have tiny bits to erase. 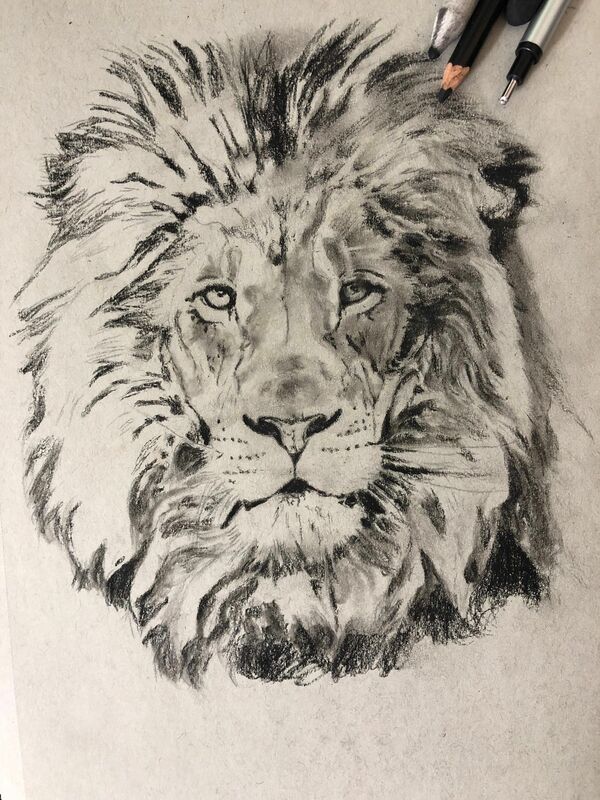 A wonderful drawing, a chic lion. You paint beautifully! Well done! 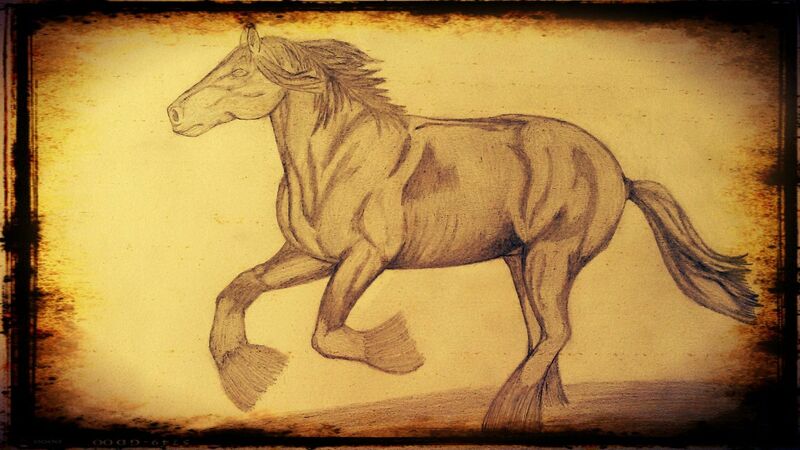 It looks absolutely realistic @vaansteam thanks to the way you use pencils. Great job!! Thank for the wonderful comment! ahaha Thank for the high score! This is so amazing! I think I will try charcoal soon. Thank you! This very interesting. You should. It's great but a little messy. Good luck to you! Wow! 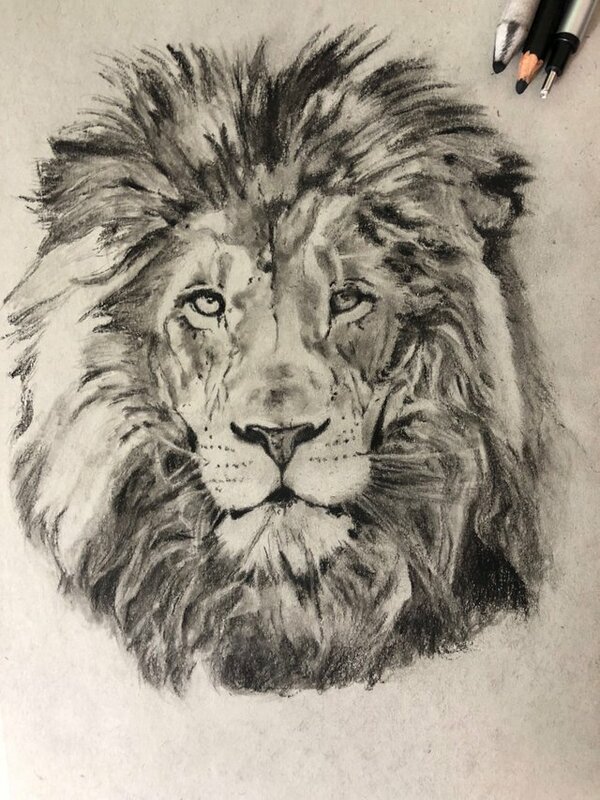 I wish I could draw like this, BTW Lions are my favorite animal. They're so fascinating, majestic, and I get a feels just by looking at their eyes. good job @vaansteam, this deserves an upvote. 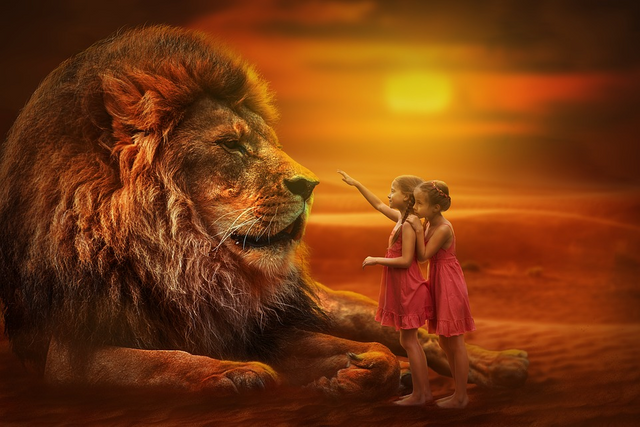 @jeeuuzz Yes Lion is awesome. One of my favorites also. So impressed, I hope that draw is me. Of course you are a master of art. it is not easy and possible for all. The talent is really God gifted. Please, please,please, send more arts like it. I am a real fond of your drawing. Thank you so much!. It's really nice of you to say. I believed everyone has some kind of talent. I will do more. Thanks for the support. So, I shall be waiting for your creation. Thank you for sharing my post. It's my favorite too. Feel this #Drawing deserves accolades ! Keep it up- will watch for more of your Fantastic #ART work . I'll be doing more soon. Thank for the support. I love the lion king the cartoon. wow... this is amazing... I'm about to learn how to use charcoal... but I'm a guru with pencil. That's very nice art. Keep it up! That's a very nice, clean, inspiring sketch! You have great talent and you should go far. Thanks for sharing! I love to see talent! 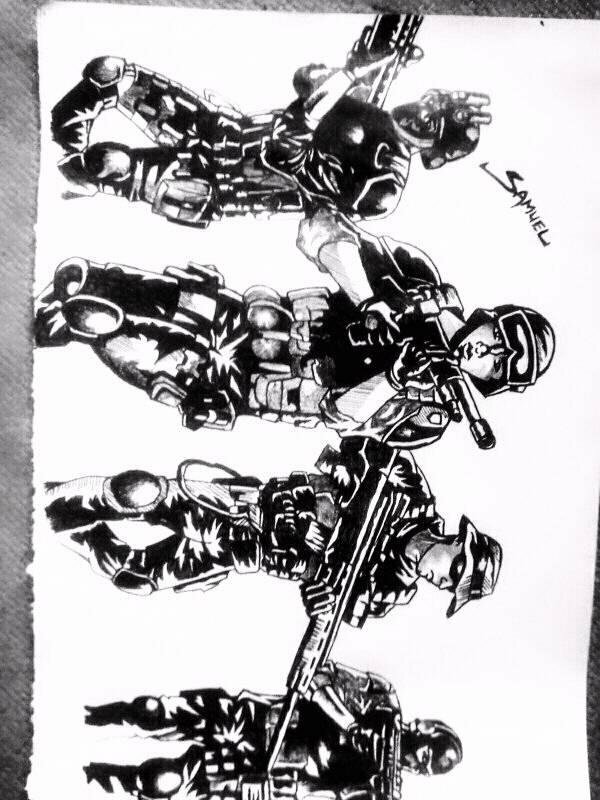 Its really impressive brother, how easily you explained the steps to complete the sketch by charcoal pencil because for the beginners who tries first time to draw with charcoal or graphite pencil ends the drawing making it look enough messy but you ended it very neatly! Thank you @thedixant I really appreciate the compliment. Have a blessed day! Wow This is beautiful i love the step by step approach , this is great. Woww! Impressive! You’re so talented. I hope i could also draw like this, but i really dont have good drawing skills. Haha. Thank you @ximeta means a lot! I will thank you for the awesome comment! it feel awesone to see something like that .how many times it takes to complete one sketch cause when i started sketching i finish every sketch nearly 3 hours. it is good or bad......but the portrait of lion is soo good . keep on posting keep on sketching....good luck. Wow! This was a great tutorial on charcoal drawing. I love seeing stuff like this. I may try this myself, though I really don't like charcoal all that much. Too messy. Great! Give it a try!. It's not too messy if you're careful. It's always interesting to see someone else's process! You did a really great job man, thanks for posting! Me too I love seeing other people work. That is a great drawing. I'm not very artistic but I do like to watch other talented people who are. Great work! Thank you! I like to see other people work too. That's really some lovely work. Your welcome. I hope to see more of your post. Sometime I used charcoal too here is my artwork by using charcoal but you are better. That’s amazing. You’re very good I can’t say I’m better. Keep up the awesome artwork! What kind of charcoal you used, soft or hard? I just used soft. What a talent. 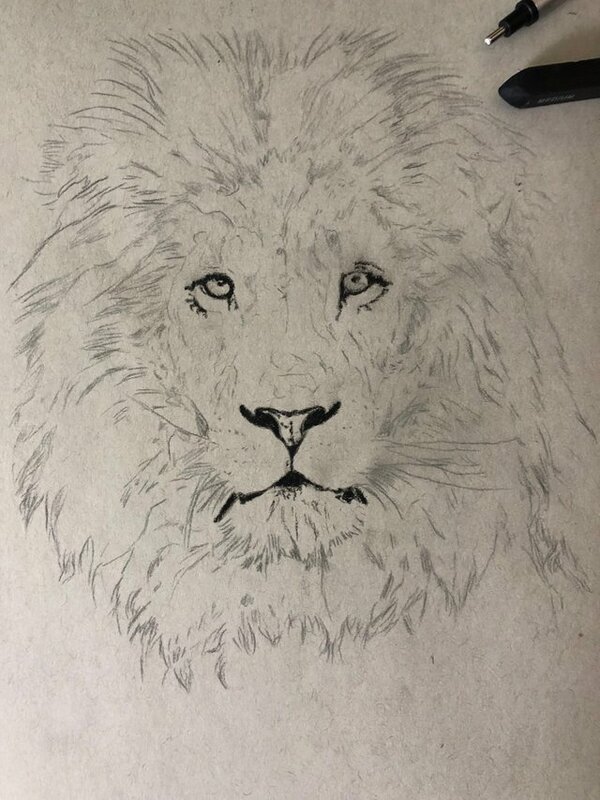 You can see that your strokes are strong and determined like the lion you painted. That is really incredible! You really captured all the features and emotions. I just checked out your art. You're very talented also! Thanks! very nice of you to say! The blending tool is great. I've used it a lot for my drawing. I know what you mean, I like using only one color and looking the light shadows. Incredible work, I love it. Excellent proportion, good use of lights and shadows and good expression of the animal. Congratulations. 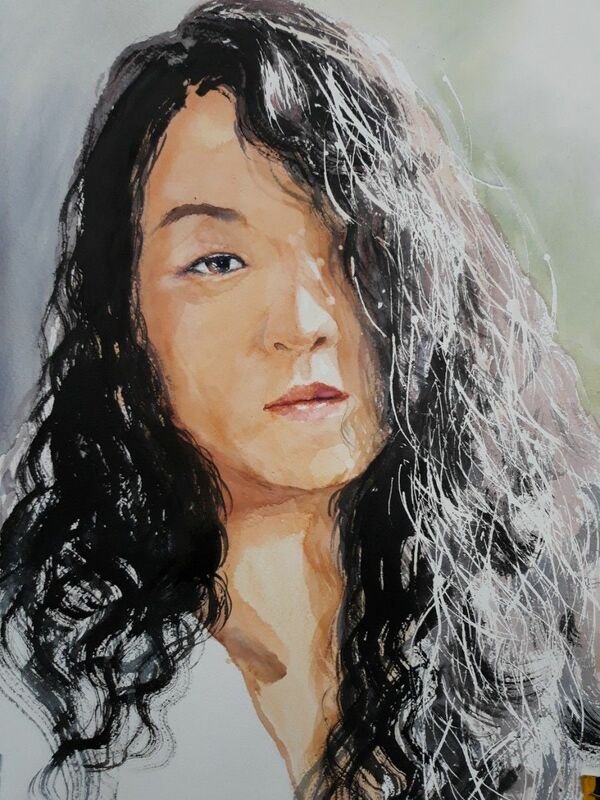 I invite you to see my self-portrait and leave me your criticisms. Thank you. Hey vansteam, man i like your style and the painting. Art is never finished. I am inspired to draw, going for my pencils. I'm glad I inspire you to draw. Good luck to you! Hey you are artist, I like your drawing very much thank you for these pictures I hope you put more to share it with us. Thank you so much @john.harvey I'll be sharing more soon! Thanks for the tips. I will practice them. * I did not know about the white pencil and the eraser :) . That is impressive, well done. Shared your artwork with a friend who is also artistic, I'm sure she will appreciate your amazing skill/talent. Thank you, I'm glad you like my artwork and give me the support. You're awesome too! Very good work friend @vaansteam, always I am surprised of the talent that you have, you nfelicito brother. A hug, God continue to bless your talent. very nice talent, keep it up and make your art be suited to this community. Congrats. My friend for a little guide just use 5 tags in every post you have done. like (art. drawing, contest,busy and story to your post depend on the topic that you wanted. have a nice day. Very nice! Lions are cool. amazing talent man. you keep on amazing me! I hope so. Thank you for the support! Wooow that really fantastic. We should call you the professional painter🌹🌹🌹🌹. I’m sure you can improve. Just keep drawing everyday and try to work with different kind of mediums see what work best for you and your style. Thanks a million dear friend for your support and nice advices. I will be one of your fans from now and forward to hear about you dear. Your post may be very satisfactory. This would beat each percent inside the black and white venture class. You paint fantastically! nicely carried out! That's a very nice piece of art. Congrats on a job well done.